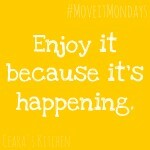 This week I celebrate the one year anniversary of Ceara’s Kitchen! And can we just take a moment to celebrate with this Life Changing Roasted Tomato and Red Pepper Hummus? I know it’s not seasonal guys, but I’m seriously ahhh-dicccted and I’ve been eating this hummus straight from the fridge with a spoon (#sorrynotsorry). Who knew the combination of roasted sweet red peppers, roasted roma tomatoes, chickpeas, garlic, tahini and a splash of hot sauce could taste sooo damn good. 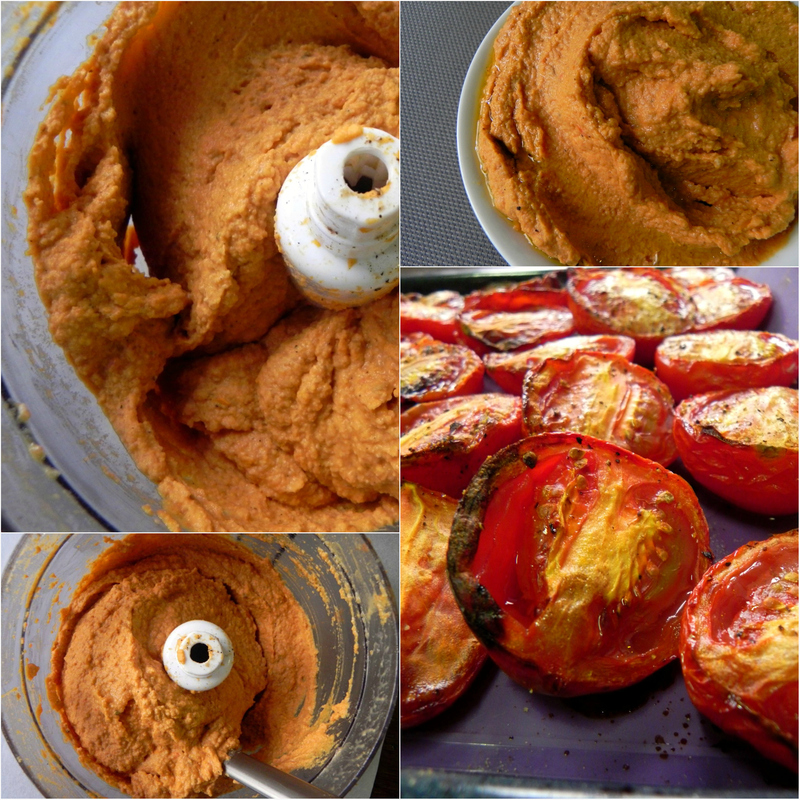 And I love that this recipe makes 5+ heaping cups of Roasted Tomato and Red Pepper Hummus. It may or may not have been gone in under a week. I discovered two “secrets” to getting super creamy homemade hummus with some trial and error. First, peel the chick peas. I know it takes 10 minutes and nobody ‘likes’ kitchen prep but it makes aalll the difference. 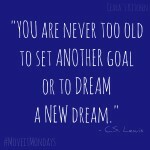 If you are really pressed for time, the second step will probably be sufficient. Second, make sure to process the tahini, fresh lemon juice and dash of olive oil for a couple of minutes in the food processor until the tahini turns super creamy and a slightly lighter color. If you do this before adding the other ingredients, your hummus will turn out better, creamier and smoother than the store bought variety. Yum. And today, there will definitively be some cake and maybe some cookies along with this Roasted Tomato and Red Pepper Hummus to celebrate. [Feel free to fast forward to the end of the post for the recipe!]. A year (and one day) ago today I started Ceara’s Kitchen while sitting on the couch in my living room [–> first post ever]. I had just moved to Belgium a couple months before, did not know many people, and was getting settled into a new way of life here in Europe. Before my Master’s took off, I spent the first couple weeks getting to know the city, running, doing yoga, and cooking. I felt as if I finally had the time to test and try out new recipes in the kitchen and recreate many of my old favourites. I felt at peace in the kitchen, recreating comforting dishes, scribbling down the recipe somewhere (sometimes) and often losing the recipe until I recreated something new the next day. As much as that was a great way of doing things (not). I wanted to be able to share some of what I was creating in the kitchen with others and also keep a record of my favourites for later. I started Ceara’s Kitchen with the simple idea of sharing some of the healthy recipes I was baking and cooking up in the kitchen. I also sought to share my growing passion for living a healthy lifestyle filled with an abundance of beautiful fruit and veggies with some chocolate in between. After struggling with my weight and health almost my entire life, Ceara’s Kitchen quickly became a motivating and inspiring source in my life. I started becoming excited to sign up for races and share my experiences with my friends back home. Because if I could do it, I truly believe anybody could do it. My first recipes consisted of me taking a couple pictures of my dinner and dessert straight from the table (I had no idea and am still learning about all the ins and outs of food photography) and posting the unedited, raw photos online. I know, right. Since then, I’ve learned so much by experimenting with different cooking styles (though there has been a lot of unshared #recipefails along the way). I’ve cooked with ingredients I didn’t even know existed (nutritional yeast, anyone), ate more fruits, veggies and chocolate imaginable, and ran and did yoga more times than I can count. Ceara’s Kitchen has truly become a wonderful outlet for me, especially before I met many people here in my new home in Europe, and I am so happy to have met so many amazing, supportive, and amaaazinngg people from around the world. I have never felt so inspired by such a wonderful diverse community that shares a passion for delicious food, life and everything else in between! <3 I am so grateful to have met all of you and look forward to all the mouthwatering recipes every week! Looking forward to many more years of tasty recipes, laughter, inspiration and, of course, chocolate. This Roasted Tomato and Red Pepper Hummus is life changing. It is slightly sweet from the roasted red peppers and tomatoes, super creamy and tastes good on just about anything. Though this recipe does take longer than most. The majority of the time is ‘hands off’ when the tomatoes and red peppers are roasting in the oven. Cut the roma tomatoes in half lengthwise. Slice the red peppers in half and remove the inside seeds and white bits. 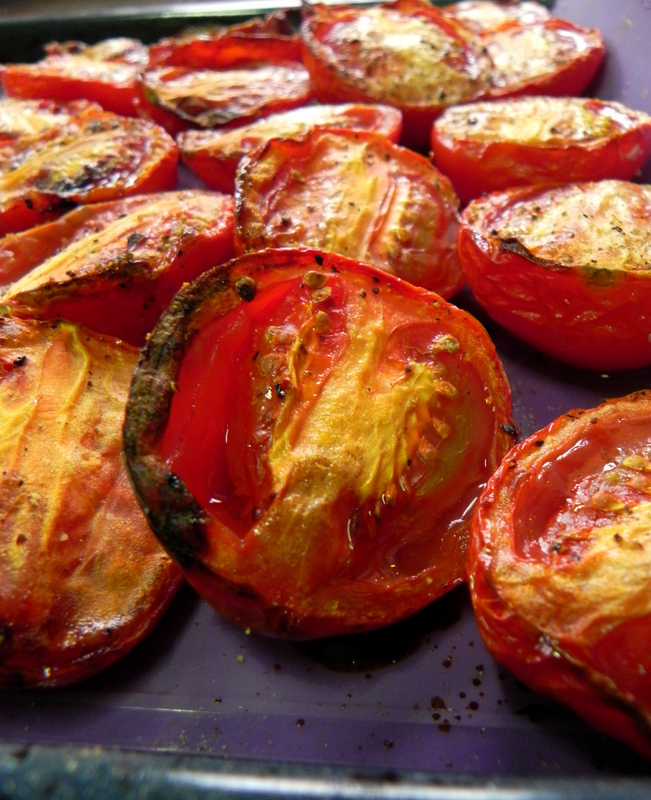 Place the tomatoes (face up) and the red peppers (skin up) on a lined cooking sheets. Drizzle with oil olive and sprinkle with sea salt and ground pepper. Roast for 45 – 60 minutes at 425F or 220C. You may have to turn the cooking sheet around halfway through if you have “hot spots” in your oven. Check at 35 minutes to ensure that the tomatoes and red peppers are not too dark. Remove from the oven when the skin on the red peppers is almost blackened and the roma tomatoes are darkened (aka nicely roasted). Carefully place the hot roasted red peppers in a covered bowl or in a covered pot and leave to cool while you begin to prepare the hummus. The covered steam will peal the skin off the red peppers easily after leaving them covered for about ten minutes. 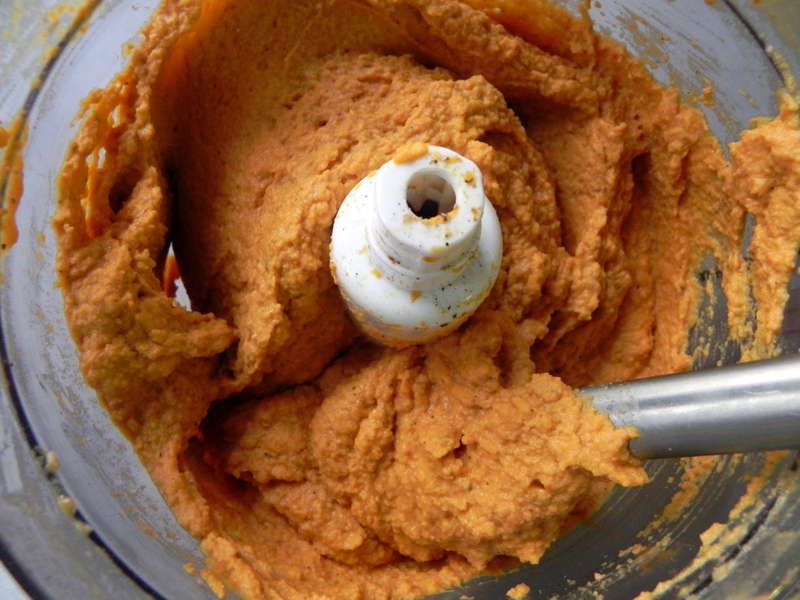 Place tahini, tbsp of olive oil and lemon juice in a food processor. Process for a couple of minutes until it begins to lighten and becomes ‘fluffy’. Add garlic and cumin and pulse until well combined. After about 10 minutes, peel the skins off the red pepers. It should easily come off at this point. Add slightly cooled down roasted tomatoes and red peppers, one by one, until they are well combined. Add the chickpeas (by half a cup) and process until the chickpeas and creamy smooth. Serve with a drizzle of olive oil and dash of sea salt and pepper. Enjoy with vegetables, crackers, on pasta, and by the spoonful! In order to get a super creamy hummus like the store bought variety be sure to peal your chickpeas (though you can skip this time if you are pressed for time, the hummus will still be tasty just not as creamy) and process the tahini, lemon juice and olive oil for a couple of minutes in the food processor until the tahini turns super creamy and a slightly lighter color before adding the other ingredients. The hummus will thicken while sitting and tastes even better the next day once the flavors have developed. 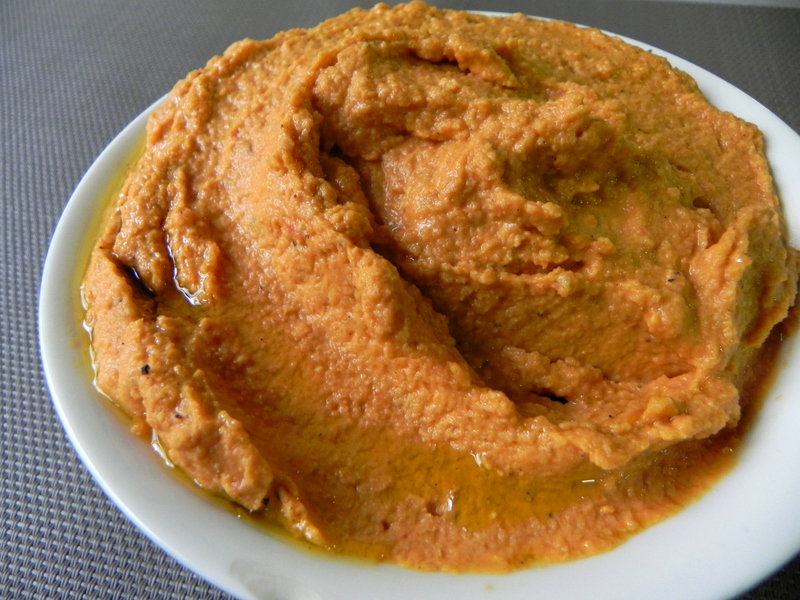 If you do try this Roasted Tomato and Red Pepper Hummus or any other recipes of mine, I love hearing about it! Insta or Tweet it to me (@cearaskitchen with hashtag #cearaskitchen) or Facebook it to me via the Ceara’s Kitchen Facebook Page! I’ve tried this recipe a couple of days ago and it came out perfectly! Yay!! Thank you so much for your feedback and so happy you enjoyed it! You look adorable! What an adventure you are having and I love that you put romas in your hummus! 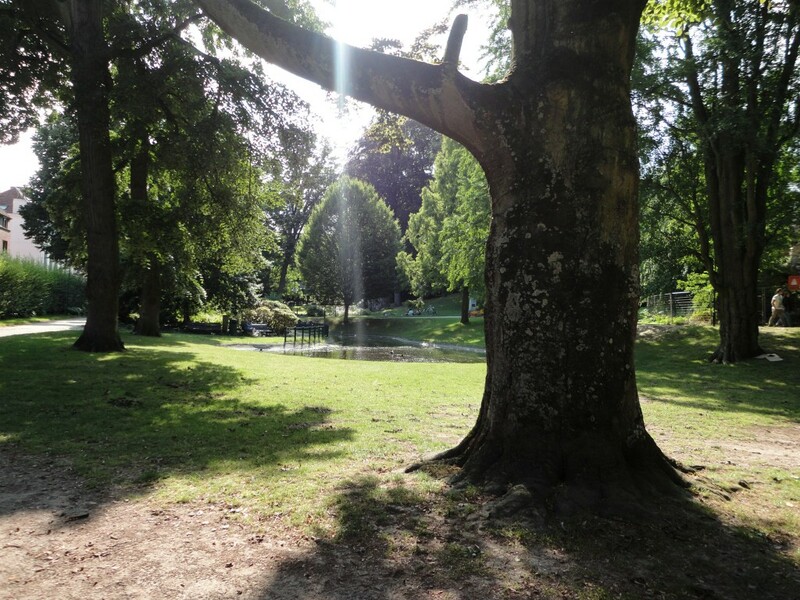 Happy One Year Anniversary to your wonderful blog, Ceara, I’m so happy to discover your wonderful blog and that you are living in one of our favorite countries, hehe! Red pepper and tomato is a lovely combination, I made this into a versatile ‘pasta/pizza’ sauce and I bet these roasted capsciums are tasty in your hummus! Love your ombre jeans! I also look forward to many more years of delicious food with you! Thanks for the kind words Rika! They brought such a smile to my face 🙂 I am so happy to have come across your beautiful blog too! It makes me want to travel and see this beautiful world more and more and find lots of yummy vegan eats along the way!! And I love this hummus as a pizza/pasta sauce (Yum!!!). Gosh, this hummus on pizza sounds so good right now! Thanks so much Allison!! 🙂 Hehe, those are my fav. 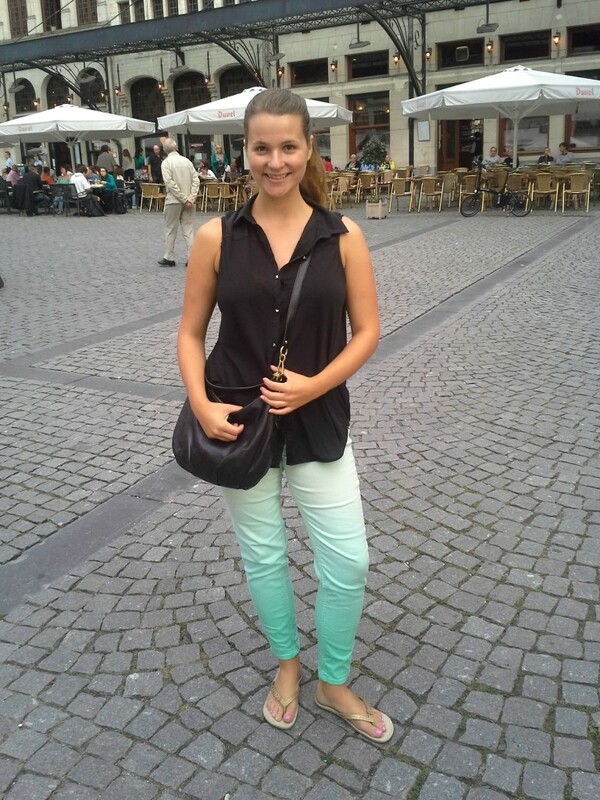 summer pants – I scored them at Winner’s a few summers ago for under 15 dollars *steeaall*! Love hummus in ny shape or form! 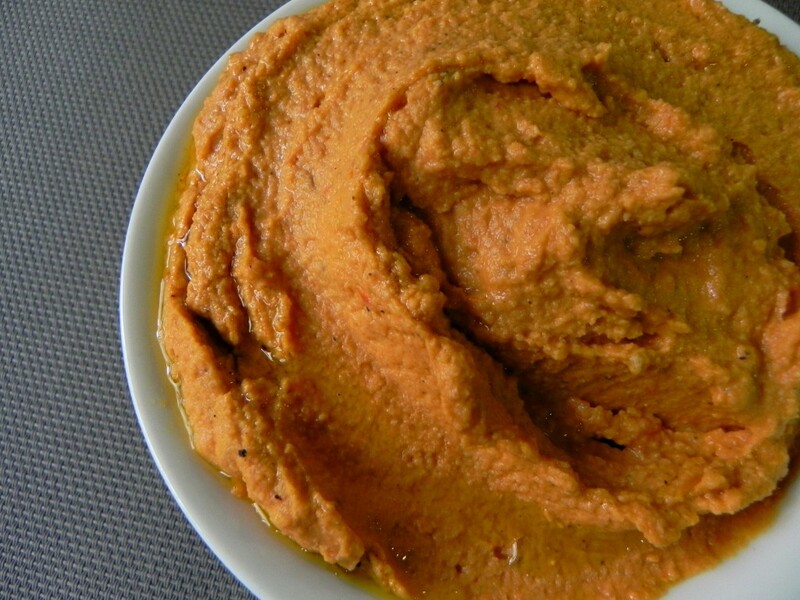 I made a great batch of roasted red pepper hummus last week, this week I am going to switch it up and make some with roasted butternut, it’s a game changer, if you haven’t tried it before. 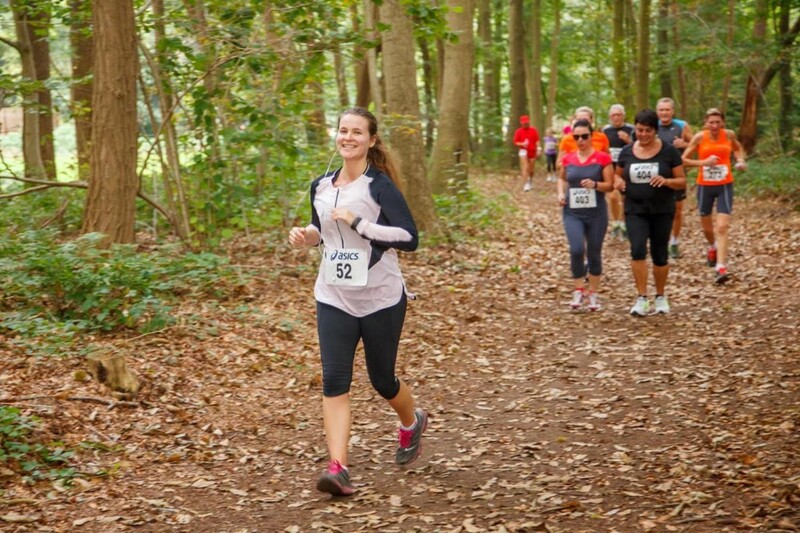 Kudos to you and your lovely blog! Cara! It’s so nice to hear from you 🙂 Hummus with butternut squash does sound like a total gamer changer – yumm!! Thanks girl! 🙂 Wish I could send you some! Happy blog anniversary Ceara! 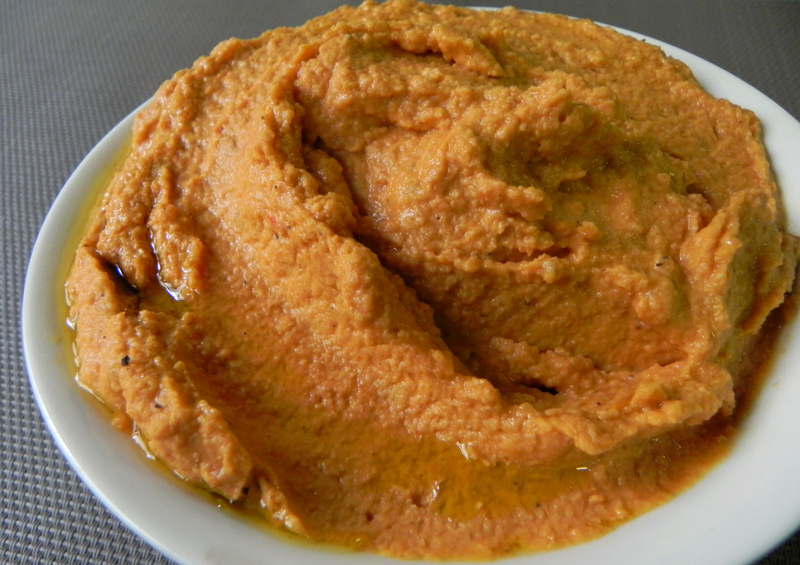 this Roasted Tomato and Red Pepper Hummus looks absolutely delcious! How creative you are in making this delectable recipe. Homemade hummus is the best, and this one looks so so amazing! Congratulations on your 1 year! 😀 Pinned! Thanks Isadora!! 🙂 Honestly, peeling the hummus is a bit of a pain so I only manage to do it half the time!! Hehe, I’m craving hummus all the time! YOU WOULD HATE to make that hummus with me around because I would just stick my fingers all up in that food processor and risk them getting cut off so I can chow down! lol! Haha, GiGi, your comments always put a big smile on my face! Haha, I did the same last year (stupidly) making hummus with an immersion blender and almost lost my finger (I have the battle scar to prove it!). Happy blogversary Ceara! I love your creations! This hummus sounds delicious, perfect for a healthy snack! This looks so delicious!! I can’t wait to eat this with Jason. I love roasted tomatoes n red pepper..this looks so good and healthy! Congratulations on your blog anniversary! 🙂 I just read your story and it was very inspirational! Keep it up! A big happy CONGRATS to you and your blog!! Isn’t it crazy how much blogging opens you up to new experiences and flavors? LOVE. Also in love with this hummus! I’m a huge fan of the stuff (give me crackers to dip it in and I can’t stop eating) and I love how i involves freshly roasted tomatoes! Yummmers!! Thanks Christina!! You are so right – it totally does! I love all the diverse blogs there are out there 🙂 Hehe, I am like you, once I start getting into the hummus I can’t stop – it’s just tooo good!! 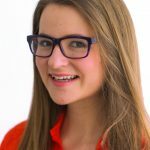 Congratulations on your 1 year bloggiversary, Ceara! That is so exciting! And this hummus looks like the perfect dish to celebrate with! I am so loving this recipe and your pictures! I’m literally addicted to hummus, like I could eat a whole container in just one sitting, if I let myself! This roasted tomato and red pepper version sounds fantastic! I can’t believe that I’ve never made my own, so I’m going to have to try this out. Pinned! So excited for you! HAPPY blogiversary and congrats on all you’ve accomplished thus far! And this hummus! Omg just give me a spoon and I’ll be set for life. Totally drooling here! Happy blog anniversary 🙂 Blogging can bring some amazing things to your life, can’t it! This hummus sounds epic. I love roasted pepper hummus, but I am going to have to try roasted tomato too. Thanks Kelly!! Hehe, I had trouble not polishing it all off at once too! It’s deelish! Thanks! Oh wow! I have to checked out your Roasted Chickpea hummus – that honestly sounds amazing!